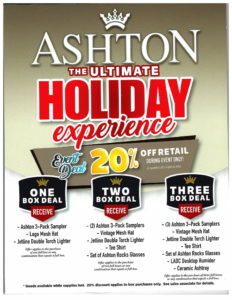 December 13th-31st we are having The Ashton Ultimate Holiday Experience! 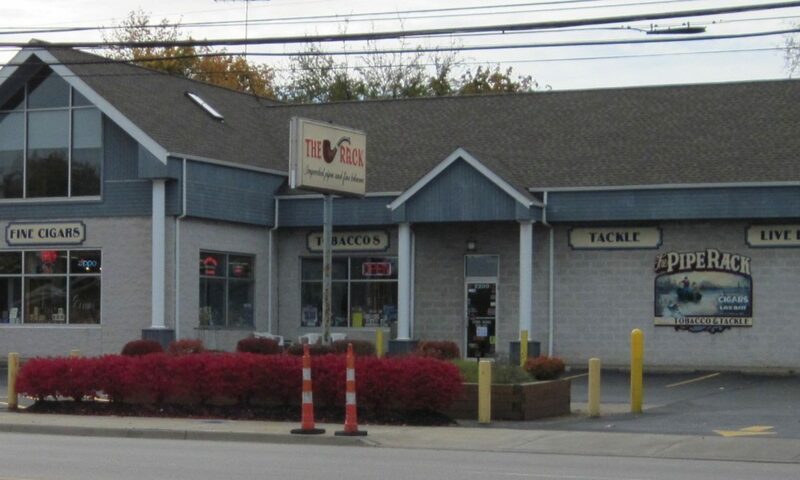 Come on in and get great deals on Ashton cigars. With the purchase of any box of Ashton cigars or assortment equaling that amount (25 cigars) you will receive 20% off your retail purchase along with TONS! of great giveaways! One Box Deal: Receive an Ashton 3-Pack Sampler, Logo Mesh Hat, Jetline Double Torch Lighter. Two Box Deal: Receive 2 Ashton 3-Pack Samplers, Vintage Mesh Hat, Jetline Double Torch Lighter, T-Shirt, Set of Ashton Rocks Glasses. 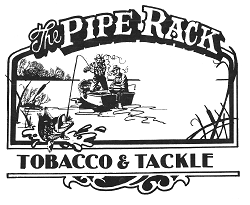 Three Box Deal: Receive 3 Ashton 3-Pack Samplers, Vintage Mesh Hat, Jetline Double Torch Lighter, T-Shirt, Set of Ashton Rocks Glasses, LADC Desktop Humidor, Ceramic Ashtray. Next PostNext HAPPY NEW YEAR!!! !